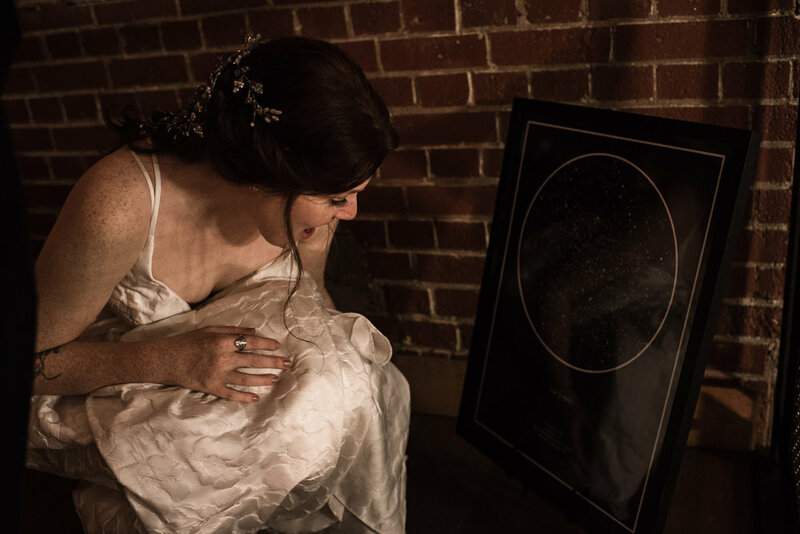 When K & R first contacted to me to shoot their wedding, I was hooked. They described their wedding in a way that made its way to my heart and will basically stay there forever. 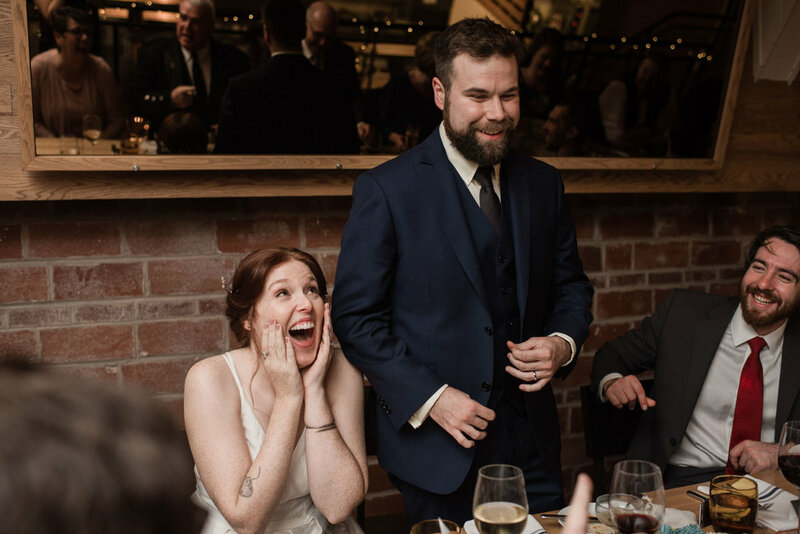 They held a intimate wedding of 20 people at a local restaurant, Agricola Brasserie. My favourite part of it all was that it was really going to be casual and intimate as they were making it to be. As they planned, they got married at dining table - no aisle, no wedding party, just them standing at the table with their officiant there to marry them as their closest family and friends witnessed their marriage. It was such a special evening to be apart of. 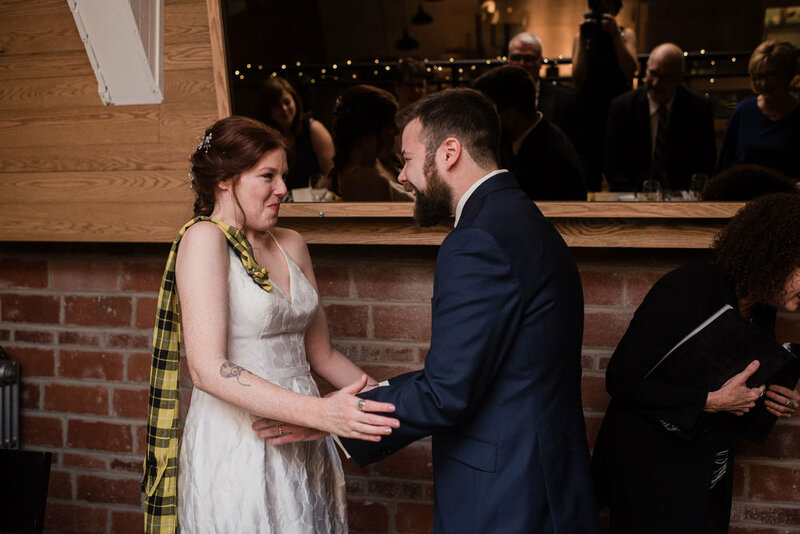 And yes, I mean evening because this wedding happened in November, and the sun basically sets at 4:30! I loved having the challenge and ability to shoot when it was dark and with all the artificial and ambient light there was. More on that later! The day started out as chill as you could imagine! K & R got ready separately but were planning to do family photos first thing, so I knew they had to see each other one way or another. 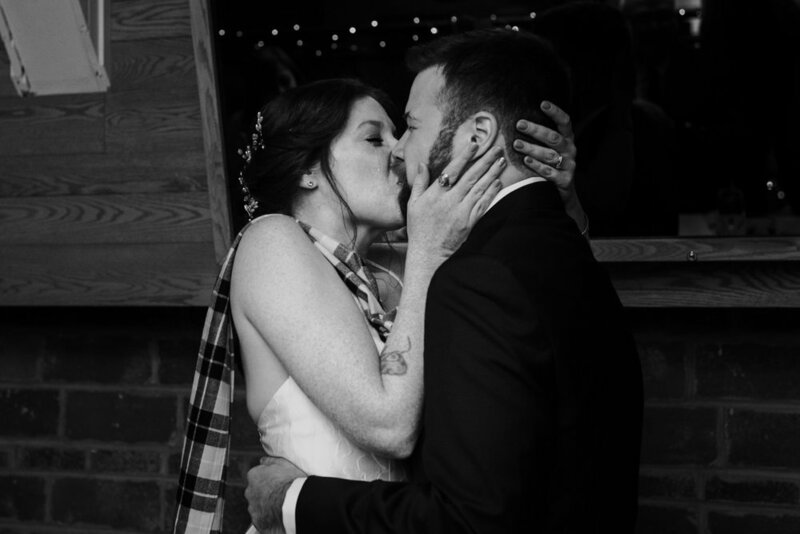 We somehow sort-of trick R into doing a first look casually and it turned out wonderfully. At this point, the weather had been raining on and off but the wind was as strong as ever. Knowing that we only had a bit of light left, after the family photos indoors, we made it around the block - using the street lights and any light there was left to light their faces. It was rainy and seriously, so windy (like umbrella-breaking -windy) but so glad we made it to have some amazing photos to look back on! K & R were even amazing enough to step outside for a few moments (for round 2 of photos!) 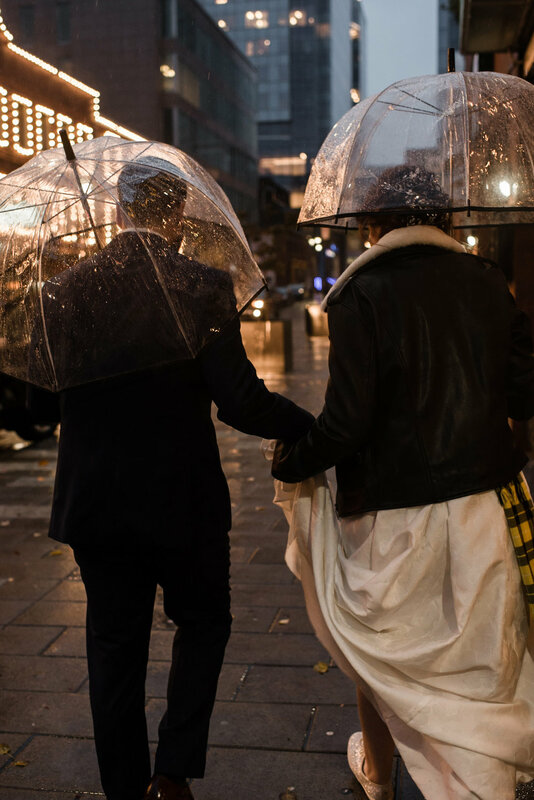 just after they were officially married to do more photos in the rain (albeit it was a bit less intense now) but seriously, some of the most romantic photos ever - street lights + rain + cutest couple (that gave me all their trust <3) = I couldn’t ask for a better combo. 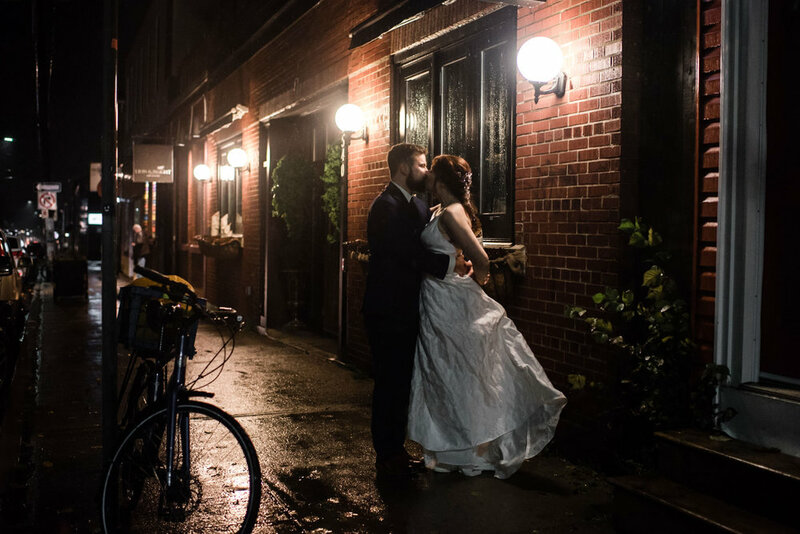 I absolutely loved shooting basically in all low-light conditions this day - so much so I’d love to shoot more evening weddings and yes, even rainy day weddings! Bring on the elements because it’s so much fun to get creative! I hope you have a good time looking through some of my favourite photos of the season. Restaurant weddings are actually the best because not only do you get amazing food always, the place is already decorated, there are chairs to use, tables to use and basically everything you need to host the best dinner and celebration! 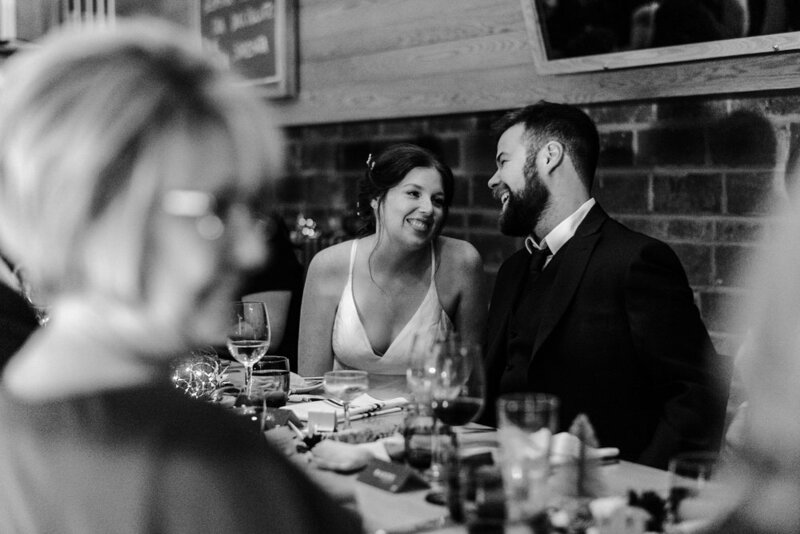 I personally loved how my own wedding turned out but if I had to do it again, a restaurant wedding in Toronto definitely would’ve been the first on my list - definitely something to consider if you are picky about your food being amazing too!